Hello steemit!! It’s time to introduce cryptocurrency. My Self Manish patel, I am from India, I am working as engineer & also link to research internet for new thigh. Here i am trying introduce you all with cryptocurrency as per my knowledge & my research from web sites. Now a day’s world getting changed very fast it's getting change beyond our imaging. Everyone are looking for money, every one looking for easy money, BUT the truth is it's not that much easy. Many are exception but they are lucky, all other have to find them own way to find out. 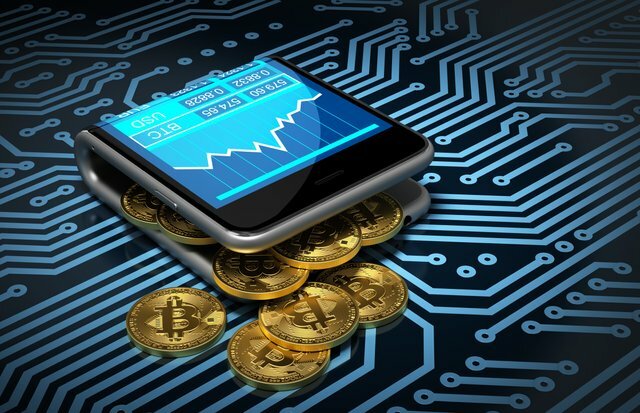 cryptocurrency = "A digital currency in which encryption techniques are used to regulate the generation of units of currency and verify the transfer of funds, operating independently of a central bank." In today world here we have new currency in digital world as it's known as cryptocurrency or crypto currency. It's a digitally designed to work in exchange with help of cryptography. Cryptography is used to secure the each transition, it’s also used to control over creation of new units of currency. You can call this currency as subset of alternative currency too. World first & top most popular currency is Bitcoin, It's becomes first decentralized cryptocurrency in 2009. After this many new digital currencies have been created which is known as altcoin (Also used at alternative of bitcoin). All of them have derivatives (something which is based on another source) use decentralized (transfer (authority) from central to local government) control, Opposed to centralized electronic money banking system. The decentralized control is use of bitcoin's block chain (a digital ledger in which transactions made in bitcoin or another cryptocurrency are recorded chronologically and publicly) transaction database in the role of a distributed ledger. Decentralized cryptocurrency is made by the whole cryptocurrency system jointly, at a rate that is create once the system is created and it is for public known. In centralized banking and economic systems like the FRS (Federal Reserve) System, corporate boards or governments control the supply of currency by printing units of fiat money or strict additions to digital banking ledgers. Just in case of redistributed cryptocurrency, firms or governments cannot turn out new units, and haven't thus far provided backing for different companies, banks or company entities that hold asset value measured in it. The underlying technical system upon that redistributed cryptocurrencies area unit based mostly was created by the cluster or individual called Satoshi Nakamoto. On March 2015, many cryptocurrency exist; most are like and derived from the primary totally enforced redistributed cryptocurrency, bitcoin. Inside cryptocurrency systems the protection, integrity and balance of ledgers is maintained by a community of reciprocally distrustful parties stated as miners: members of the overall public victimization their computers to assist validate and timestamp transactions adding them to the ledger in accordance with a selected time stamping theme. The security of cryptocurrency ledgers relies on the idea that the bulk of miners are honestly making an attempt to take care of the ledger, having money incentive to try to thus. Most digital currencies are designed to gradually decrease production of currency, putting an ultimate cap on the whole quantity of currency that may ever be in circulation, mimicking precious metals. Compared with standard currencies control by financial establishments or kept as money handy, cryptocurrencies are often harder for seizure by enforcement. This problem comes from leveraging cryptographic technologies. A primary example of this new challenge for enforcement comes from the trade route case, wherever Ulbricht's bitcoin stash "was held separately and encrypted. Cryptocurrencies like bitcoin area unit onymous, though additions such as Zerocoin are urged, which might allow for true anonymity. Thank you .. I will . It's great that you are knowledgeable and aware of cryptocurrency! Many of your fellow countrymen/women are not. I expect that will change soon though. Do you have any picks for crypto investments that you like? Here are my Top 10. Thanks.